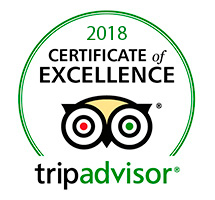 Enjoy our Buenos Aires Free Tours. The best way to know the city. We organize two free tours every day, even if it rains. No need of booking, just show up! We meet every day, 10:30 hs at Plaza Vaticano, next to Teatro Colón for this Walking Tour in Buenos Aires. We start with an introduction of the history of Buenos Aires and then we start walking through Plaza Lavalle to discover amazing buildings with eclectic styles. As we walk we are going to tell you the background behind the beautiful palaces, parks and monuments of the city. We cross the widest avenue of the world! 9 of July avenue and then we arrive to one of the most important plazas of the city. Plaza San Martín, where we are going to enjoy nature and more palaces. The icon of this place is Palacio San Martín. After meeting our hero, San Martín and learning about Malvina’s war, we get inside the fanciest neighboorhood of Buenos Aires, Recoleta. Full of parks and palaces, Recoleta is one of the most interesting barrios of the city. After 3.5 hours we finish the tour at the gate of the Recoleta Cemetery, the most visited place in Argentina! Get more details about this walking tour Buenos Aires Recoleta! We start this free walking tour at the gate of The National Congress at 3 PM. At the beginning and through this entire free tour we will explain you the historic and political perspective of our city. We are going to walk the entire Plaza de los dos Congresos, talking about the independence of Argentina and sharing with you glorious and terrible periods of our history. 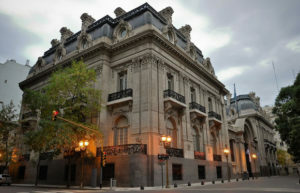 Afterwards we are going to walk through one of the most important avenues of the city, Avenida de Mayo. Through this boulevar we are going to enjoy the view of impressive palaces, such as Palacio Barolo, and meet two special characters of our country, Eva Perón and the Pope Francis. The tour finishes in Plaza de Mayo, the main plaza of Buenos Aires, where we are going to find the cathedral and the president’s office, The Pink House, amongst other important buildings. 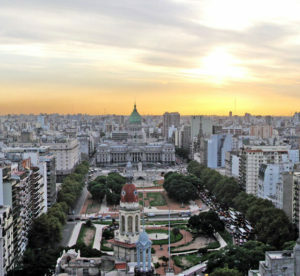 Get the information to take this City Center Walking tour Buenos Aires!